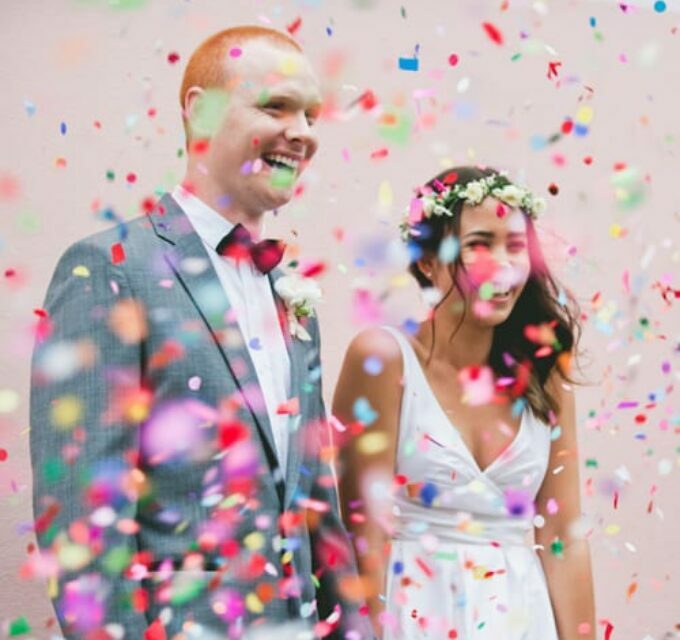 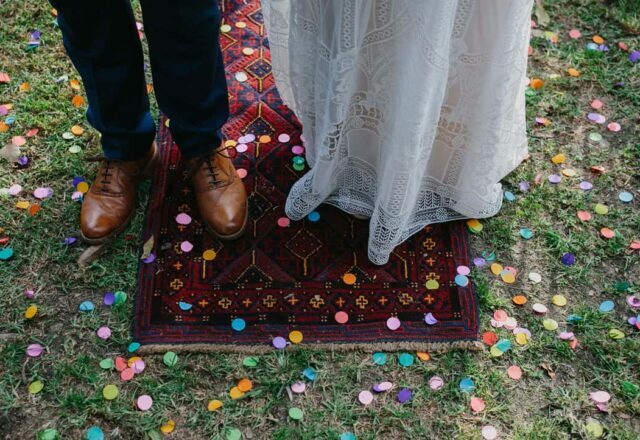 There’s nothing more idyllic than a relaxed wedding for a couple that just want to have a bloody good time! 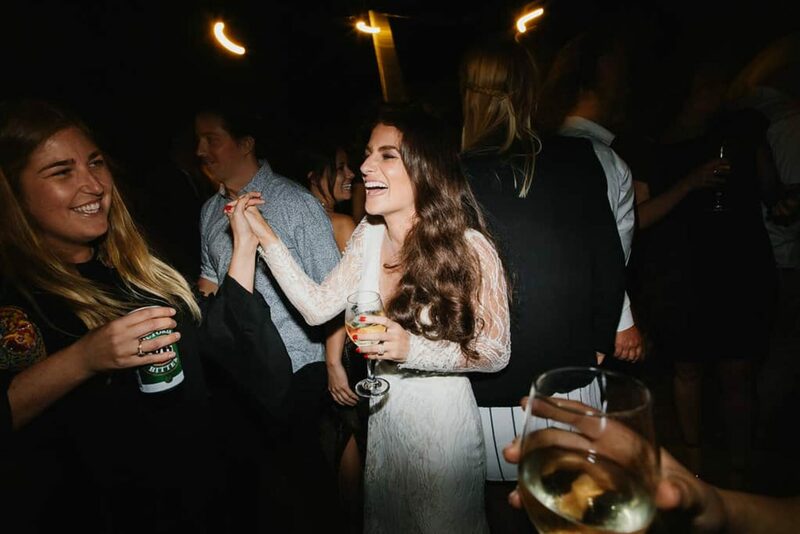 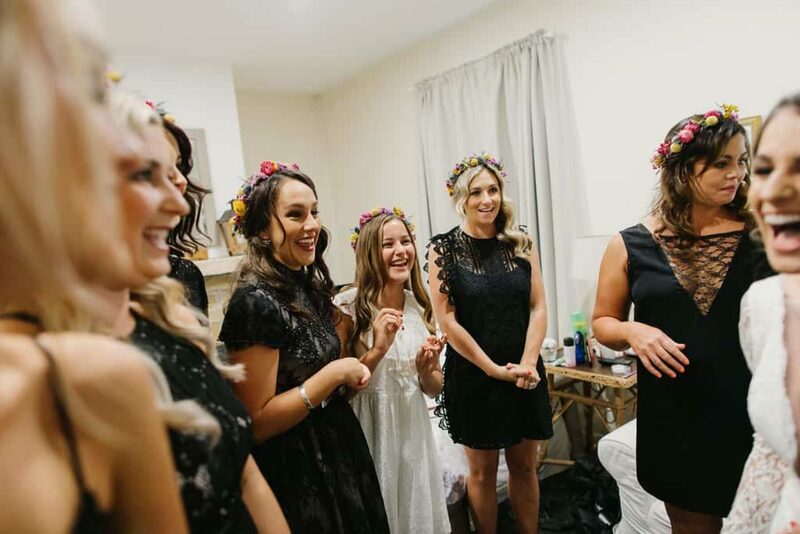 John Benavente captured the fun of Katherine and Jamie’s wedding day which had guests in their dancing shoes until 4.30am. 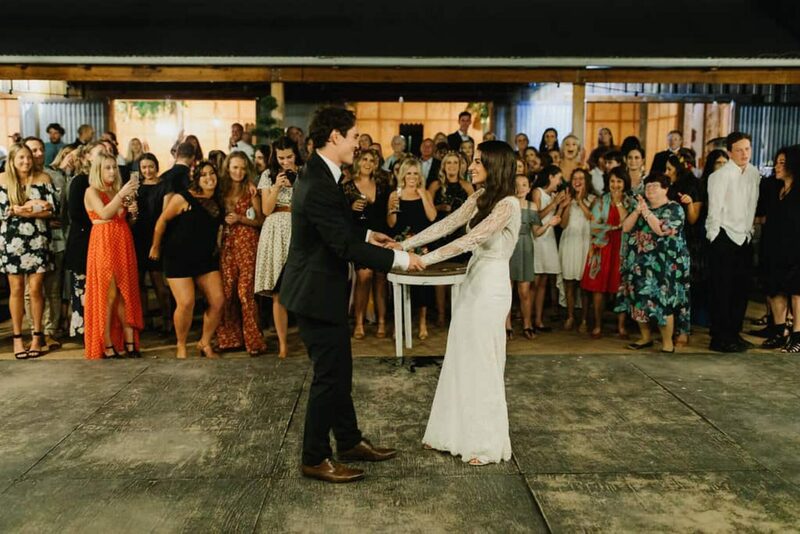 After meeting in a local pub in Merimbula when Kat was visiting home, their relationship was already far from the ordinary – signing up for long distance from the get go. 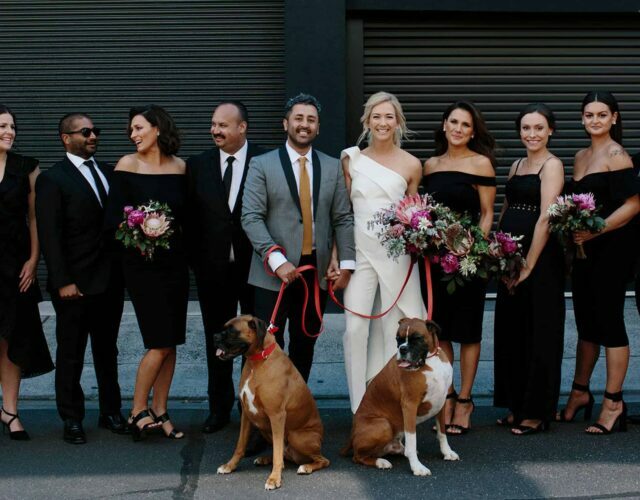 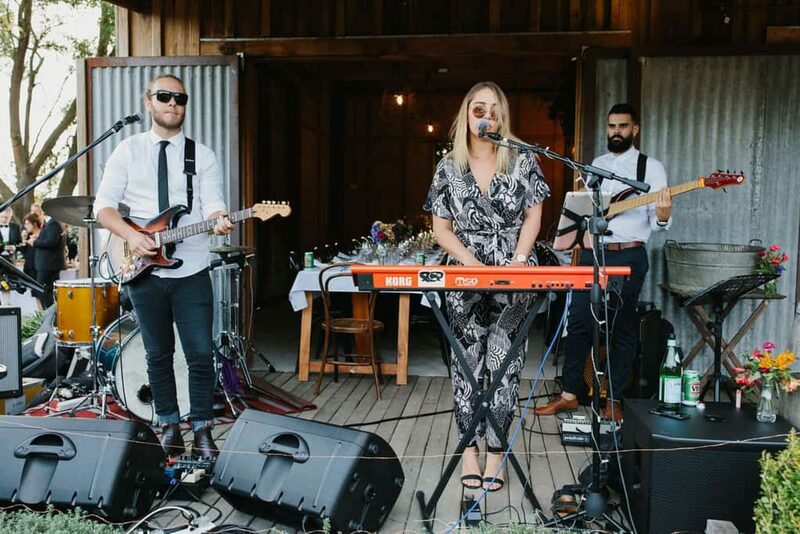 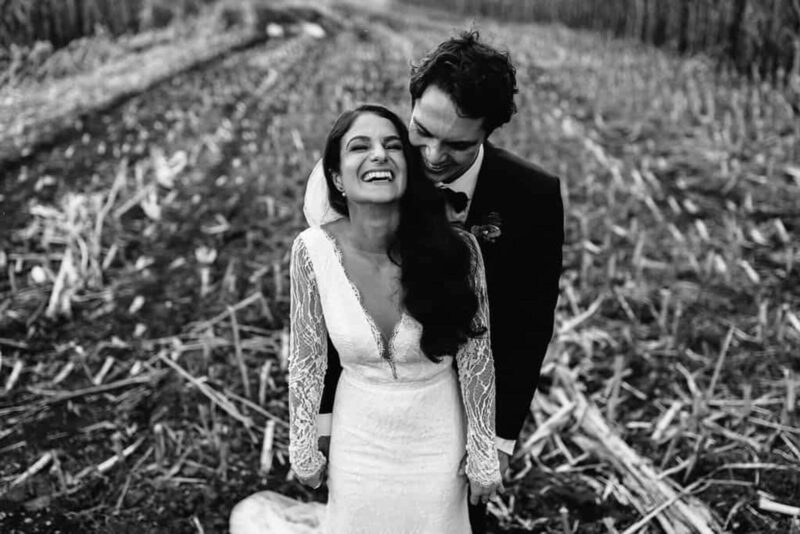 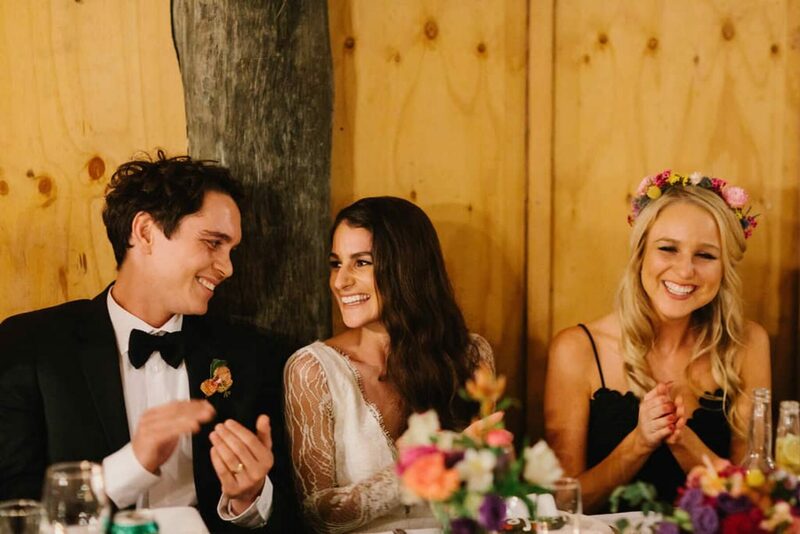 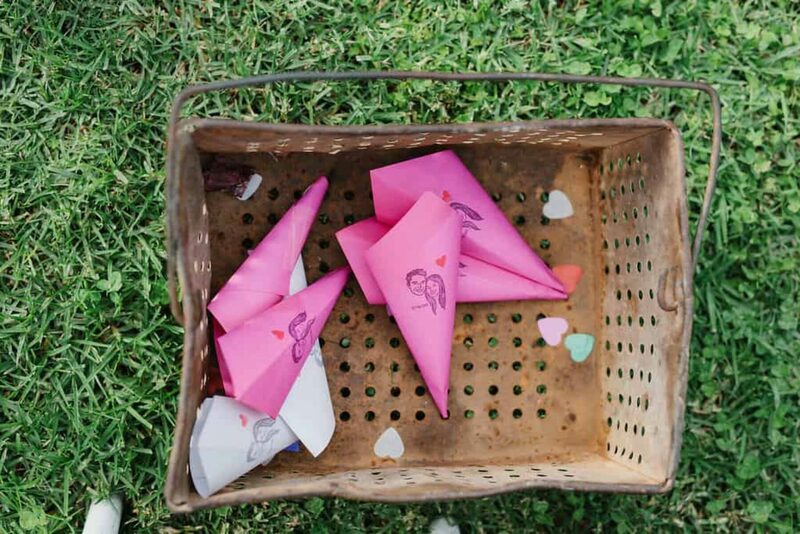 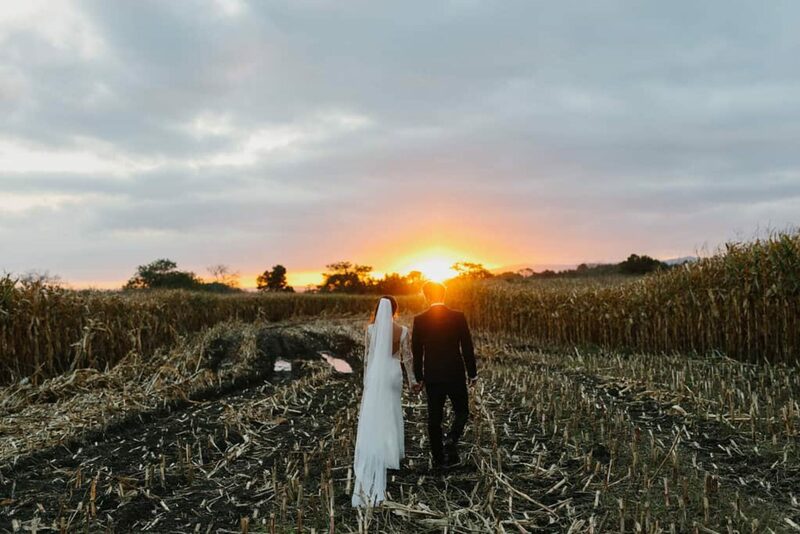 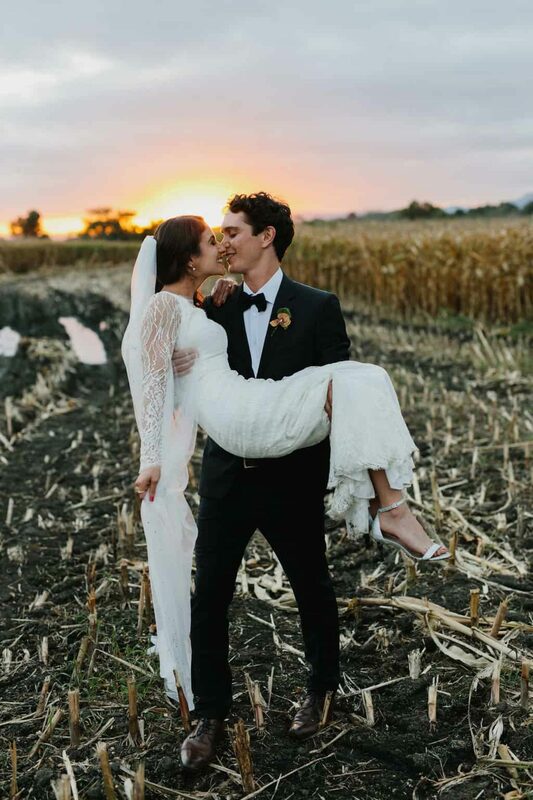 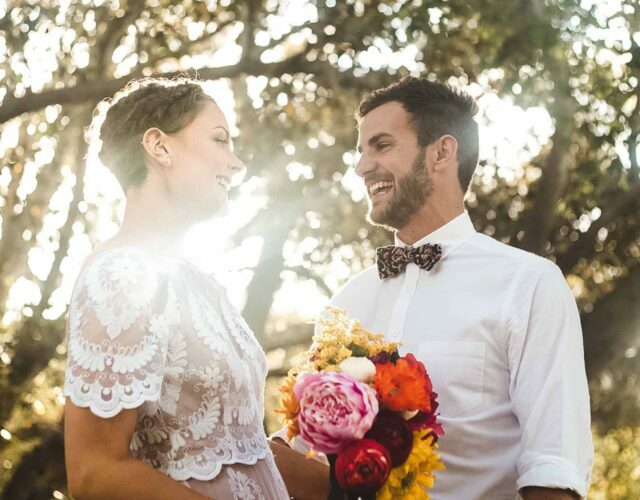 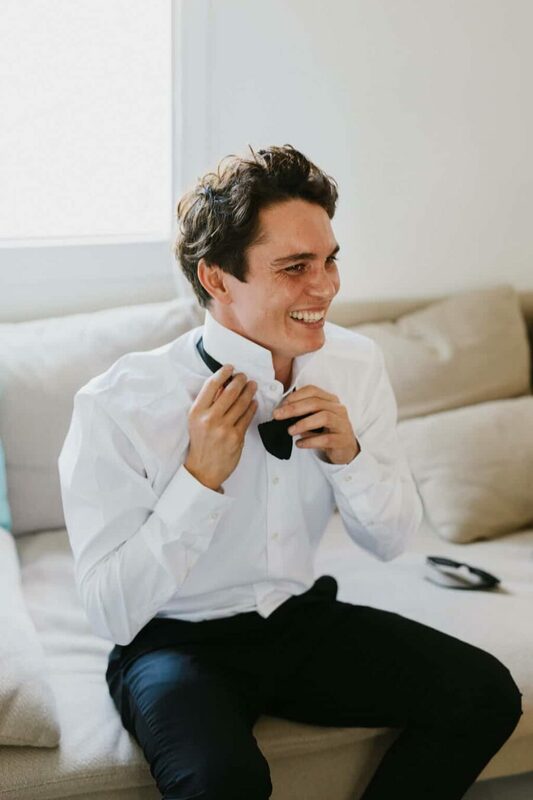 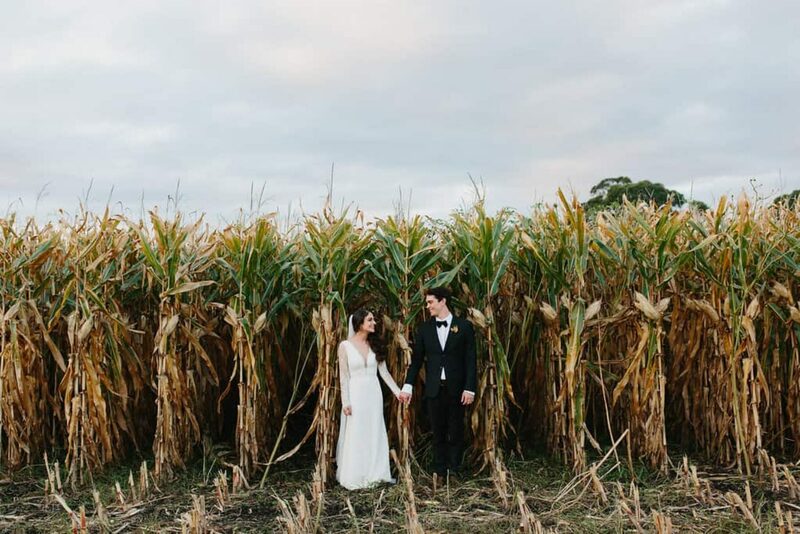 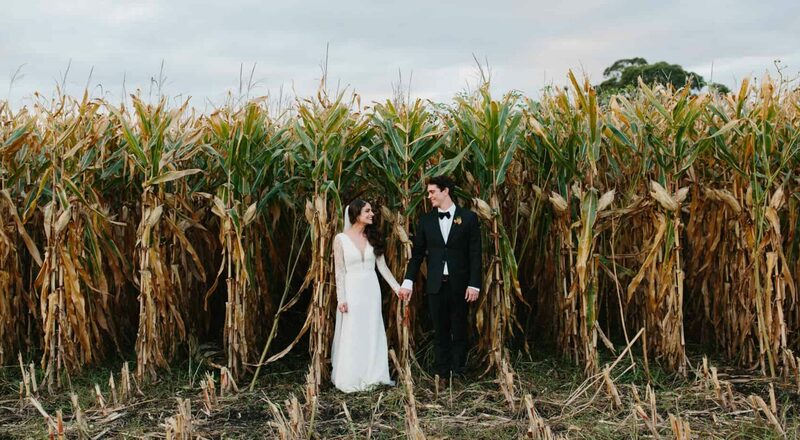 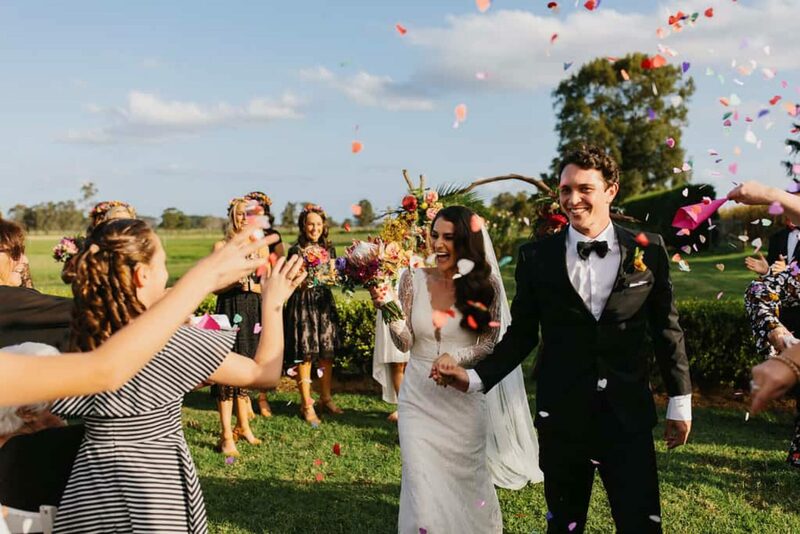 After their bond for good food, good wine and a darn good time proved to be irreplaceable, the couple relocated to Sydney and planned their nuptials. 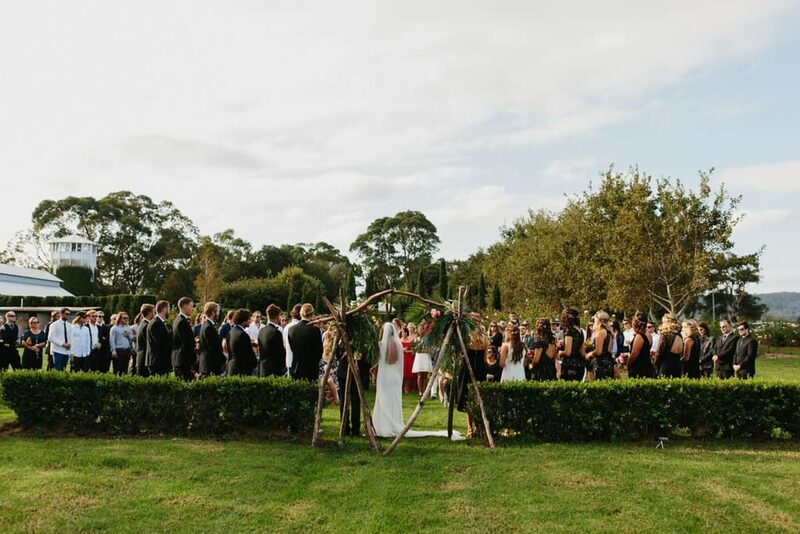 And boy did they plan well, hosting a whopping 170 people on a property that is home to historic Merribee House. 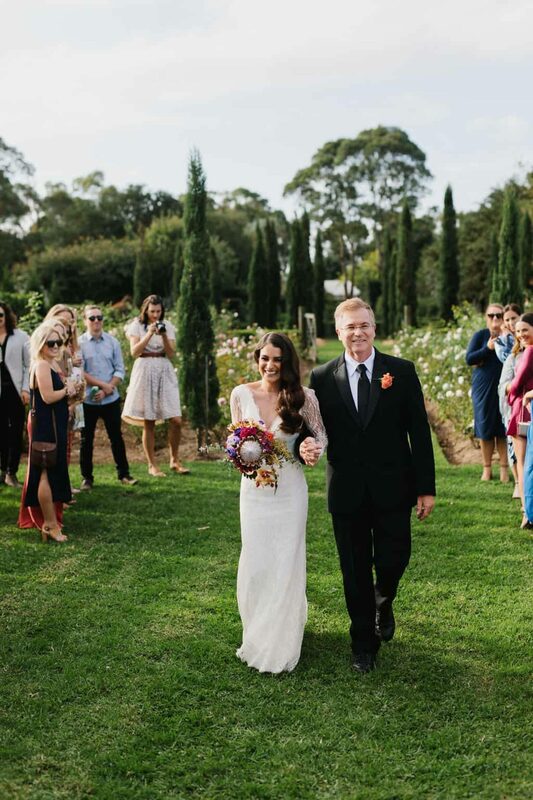 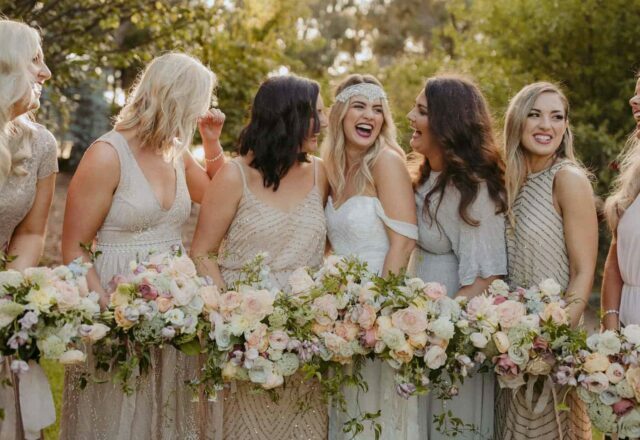 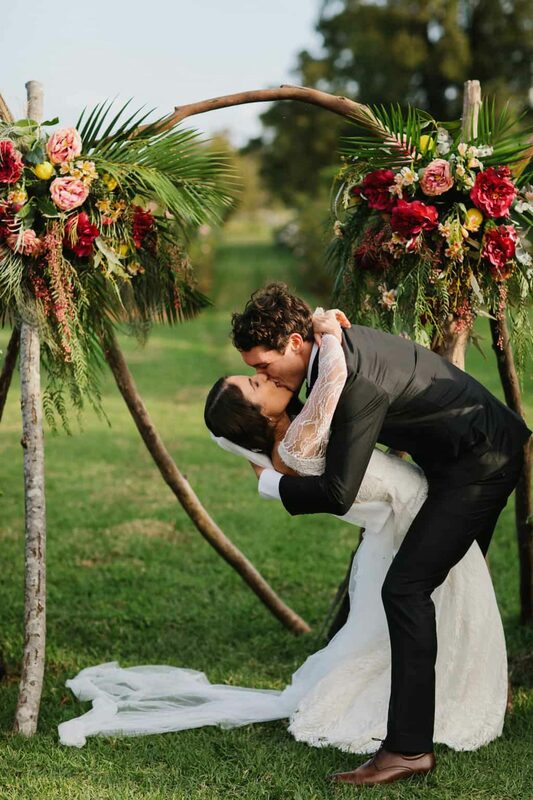 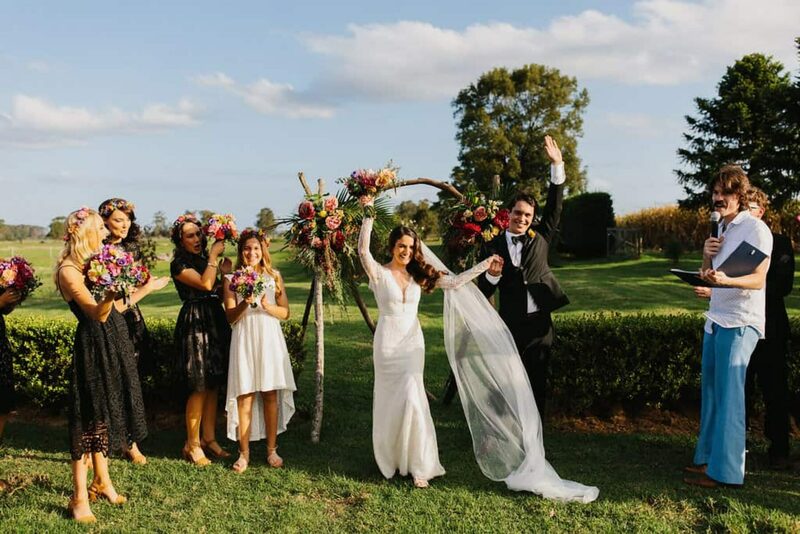 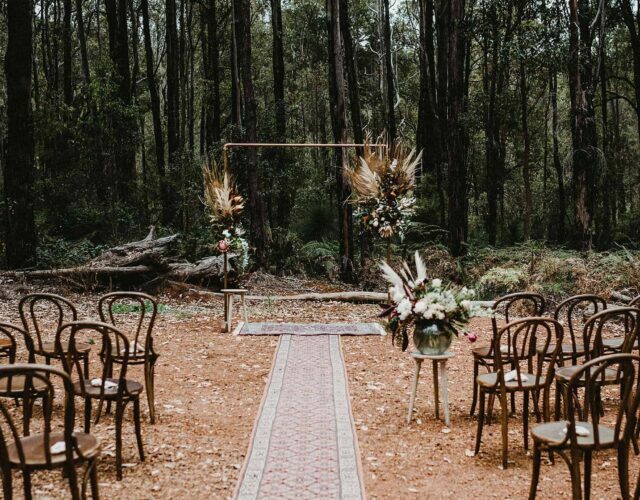 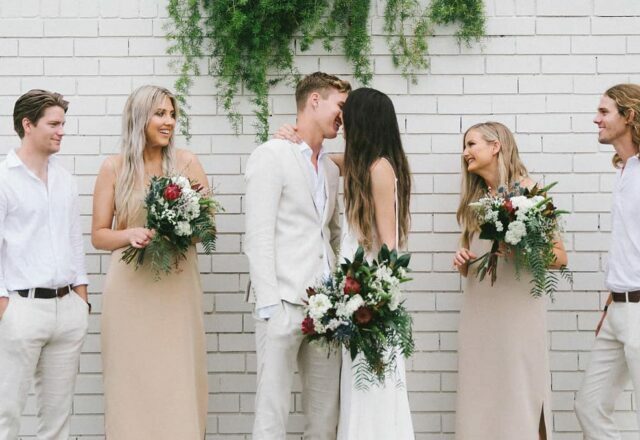 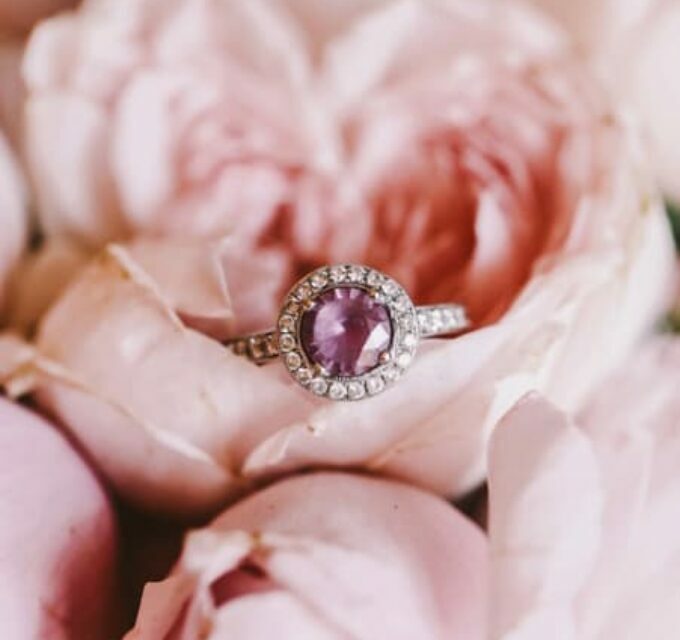 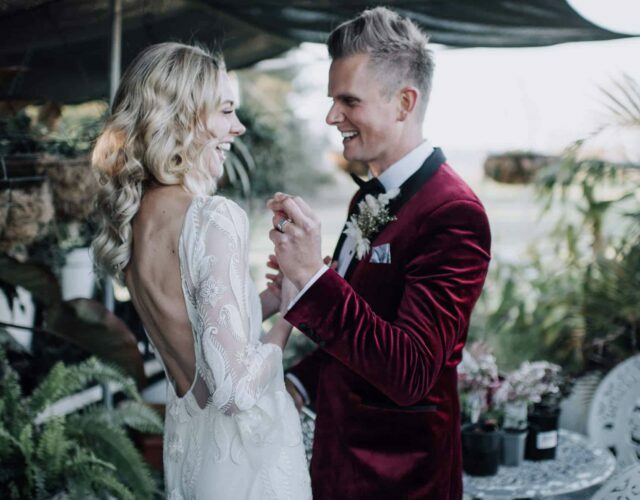 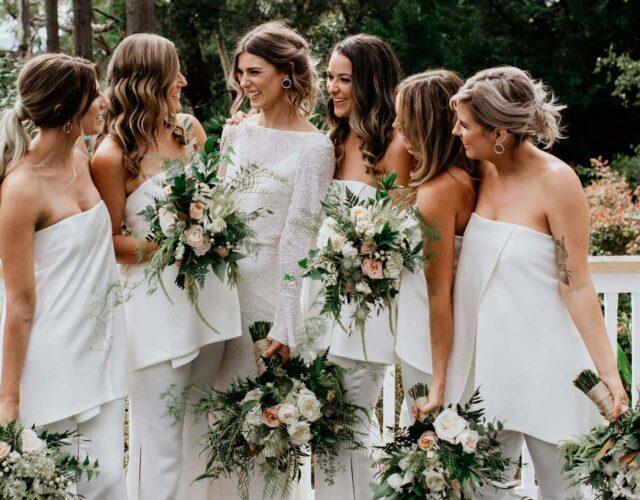 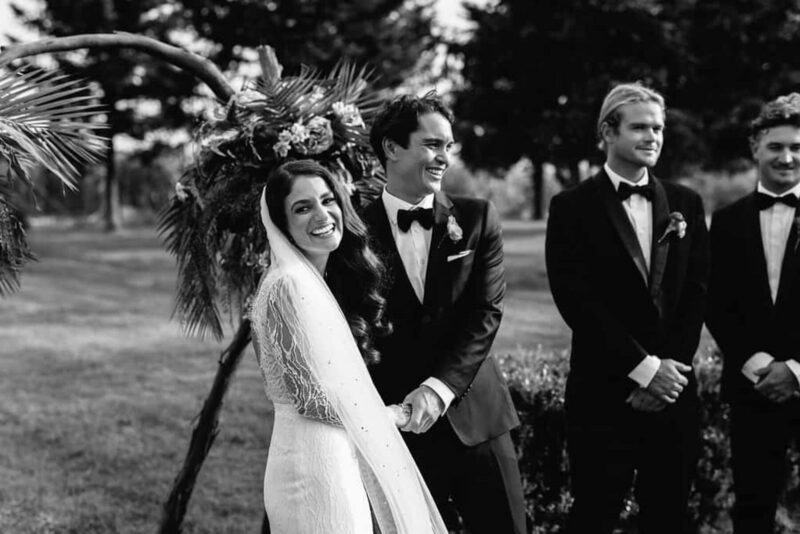 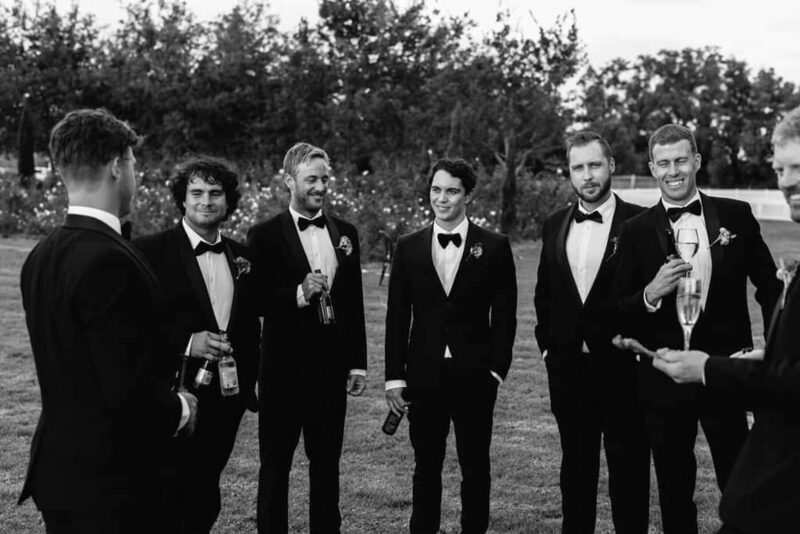 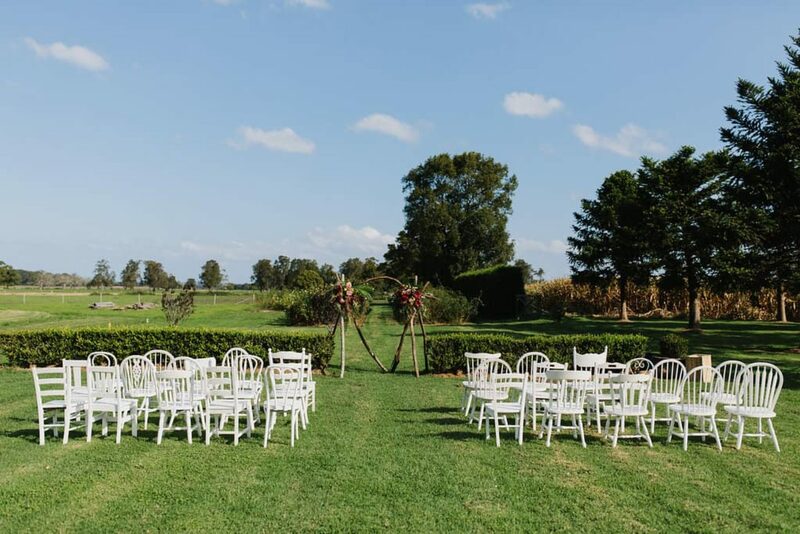 The ceremony was held in the picturesque rose garden with a fun-loving celebrant, Todd Mayhew and close family and friend who sung Kat down the aisle. 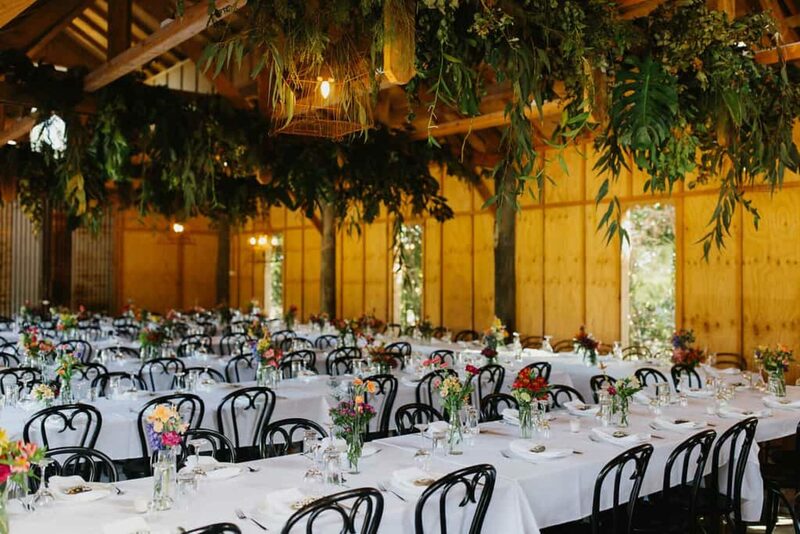 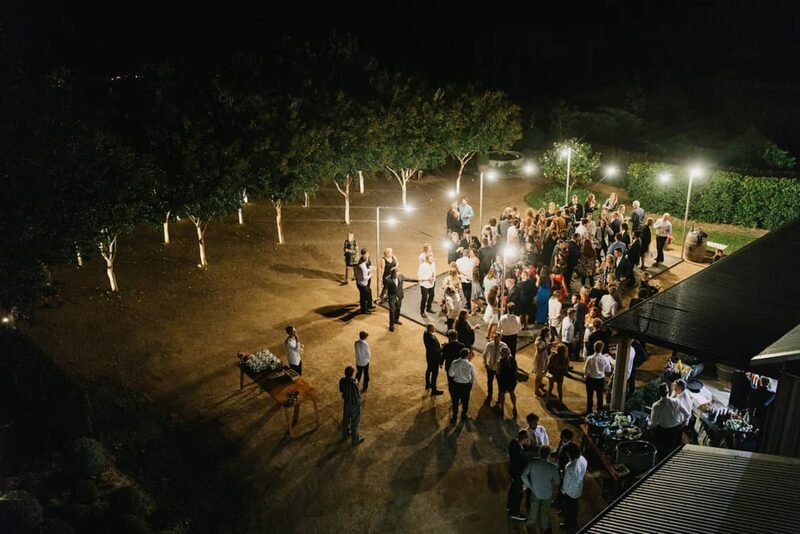 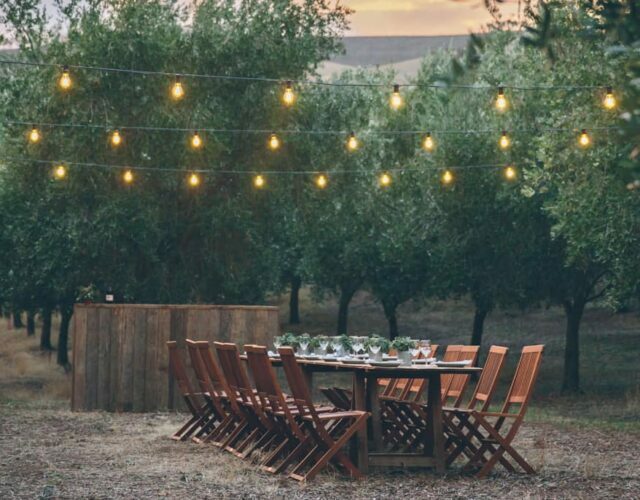 After the ceremony, guests moseyed on to the big barn at Merribee for a delicious shared table feast by Rabbit and Co and a few too many tipples. 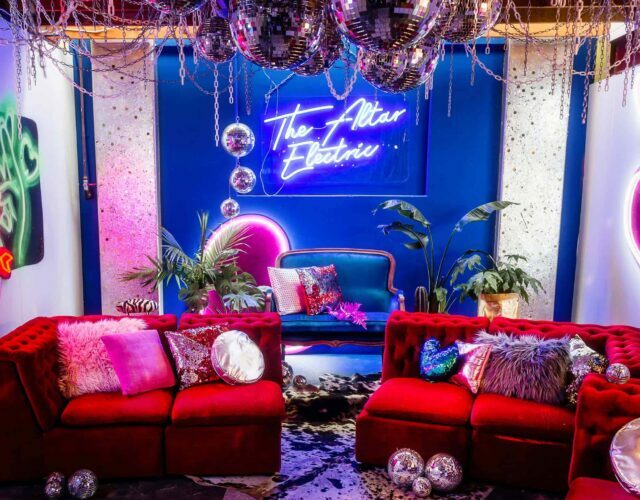 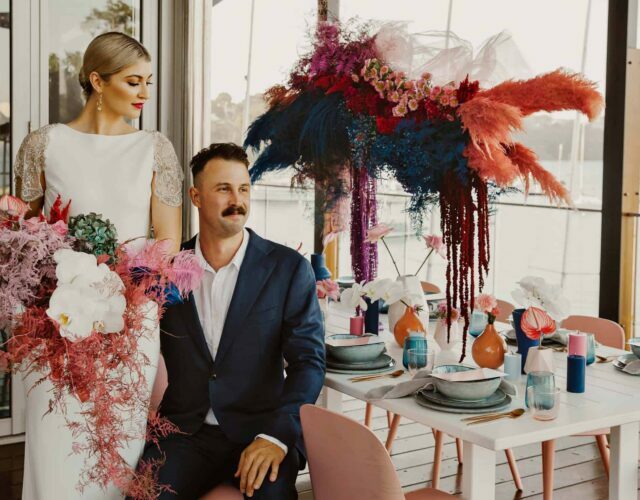 Styling was fun and simple, decked with vibrant florals by Mary Failie-Cuinghame, great music and a rather large dance floor. 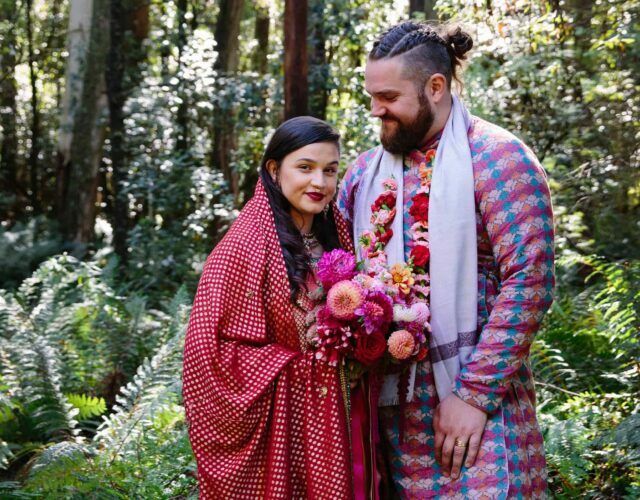 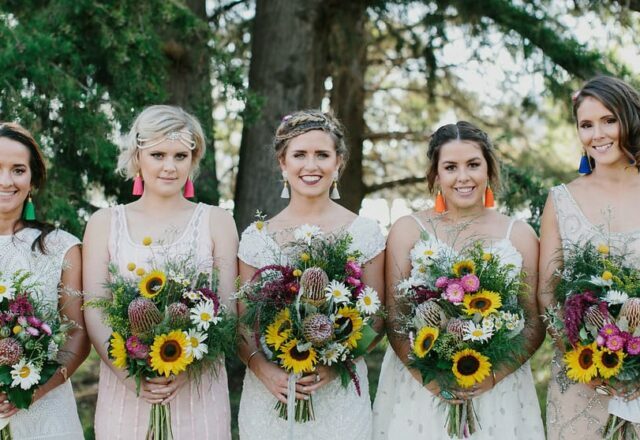 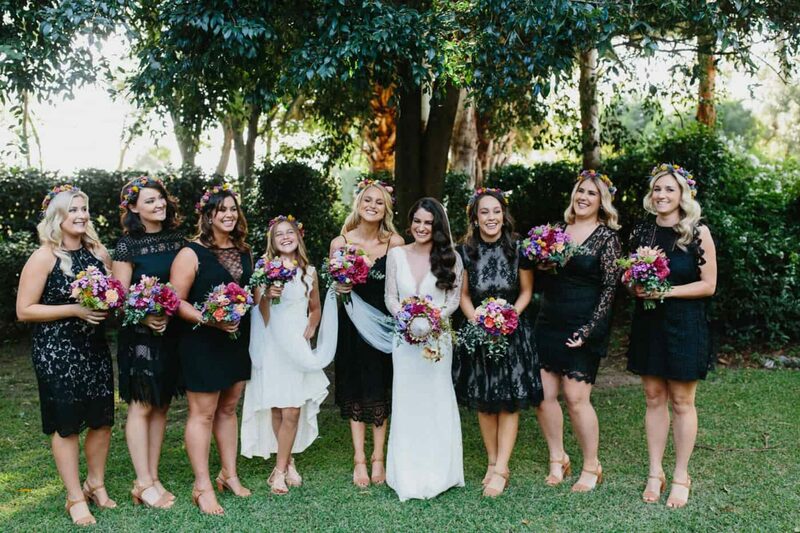 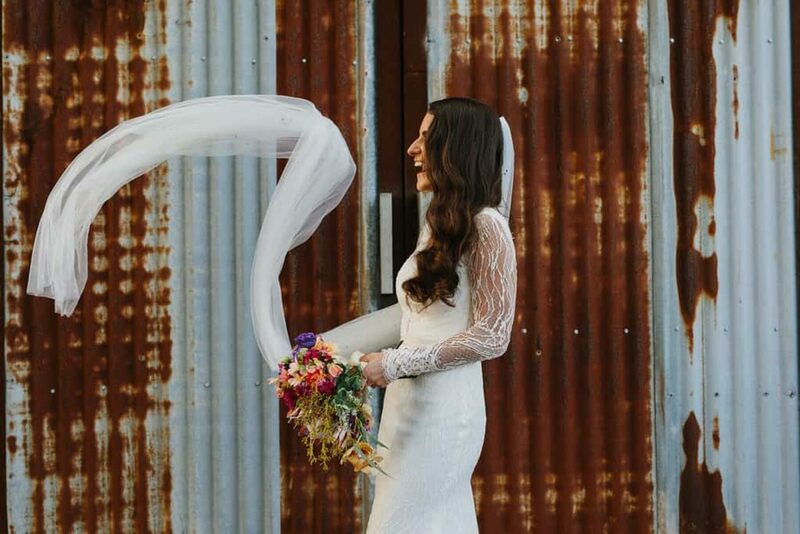 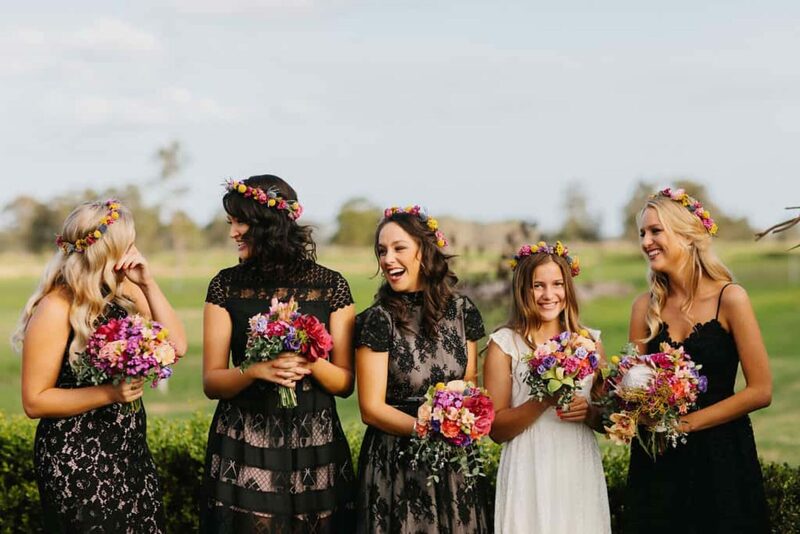 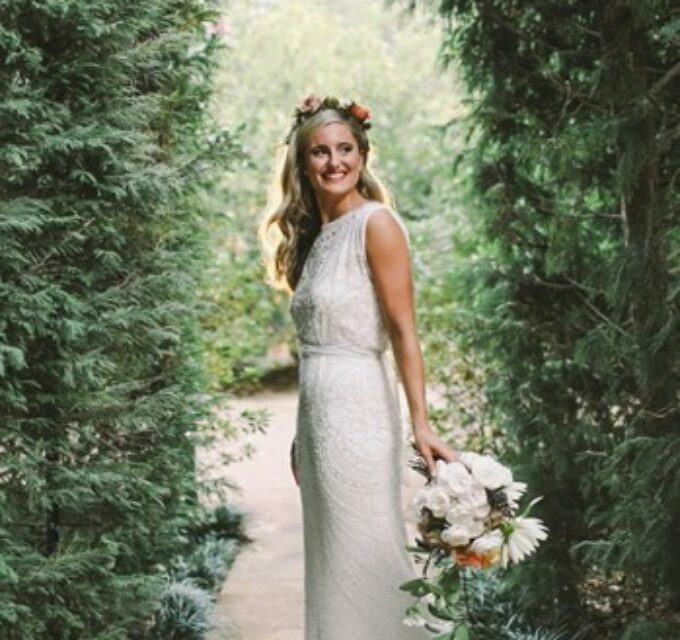 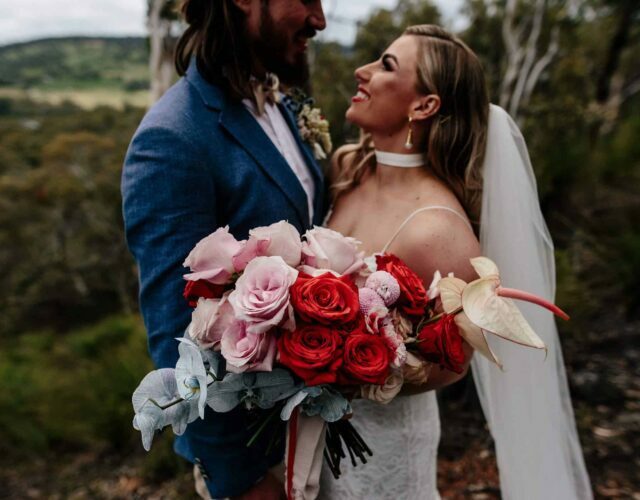 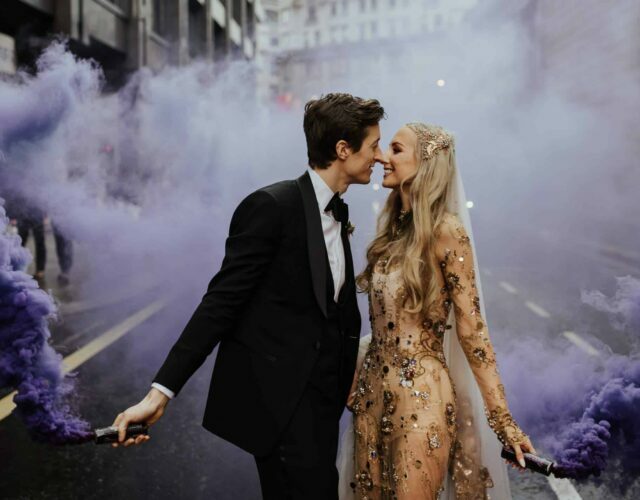 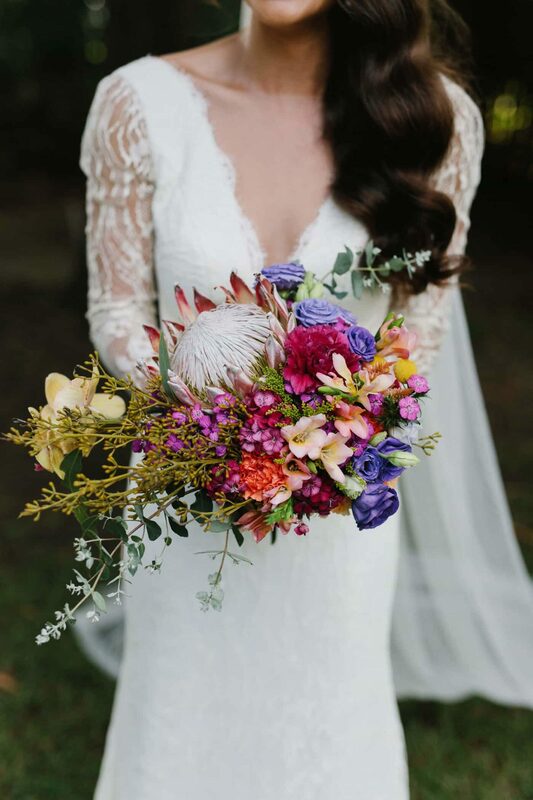 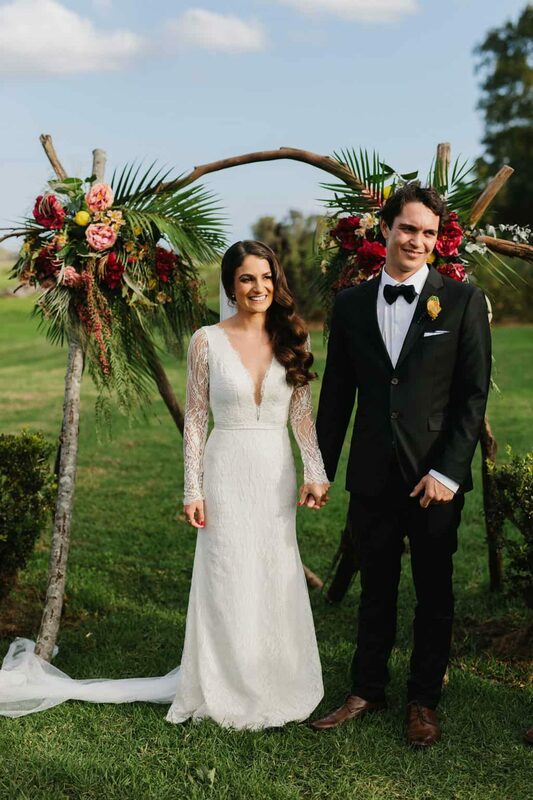 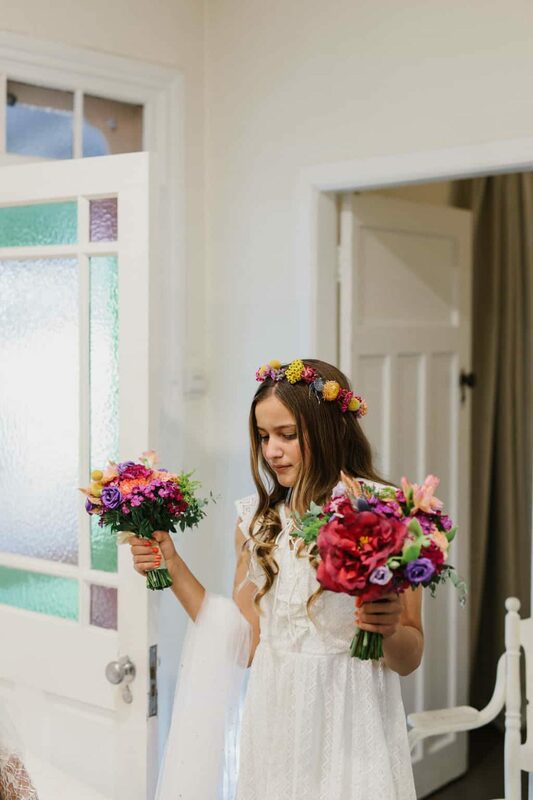 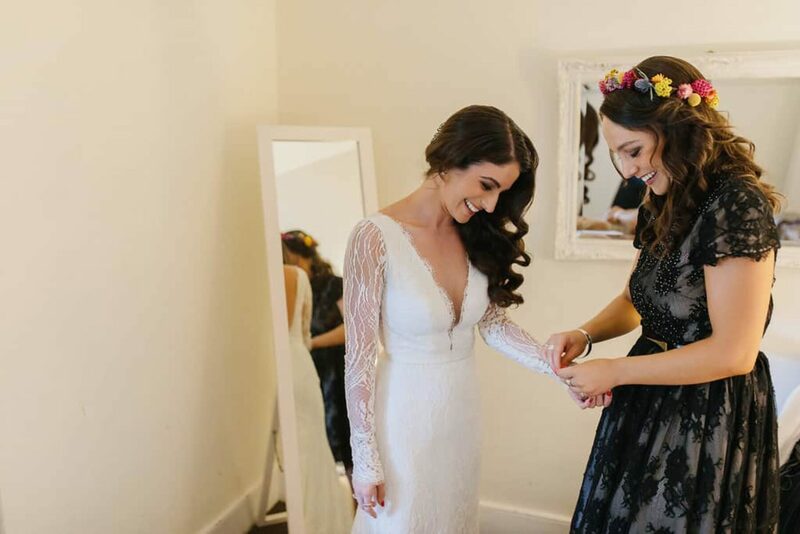 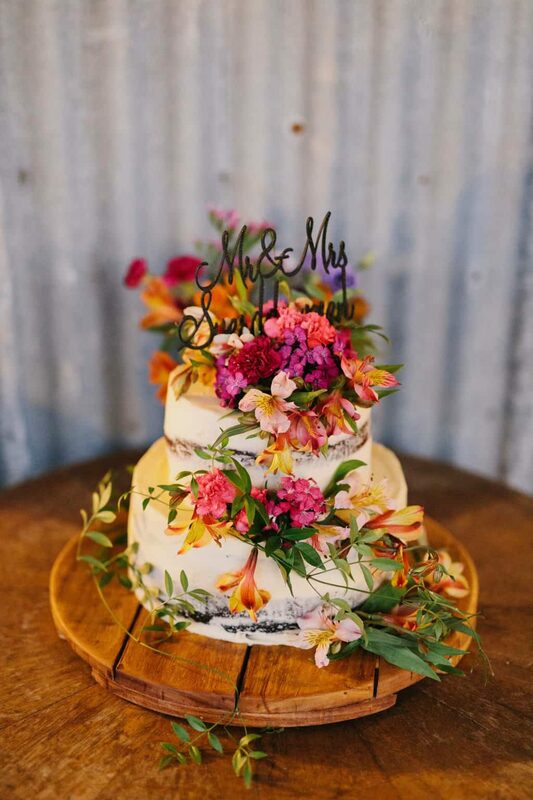 Kat's vibrant bouquet by Mary Failie-Cuinghame brought a pop of coulour to her elegant bridal look - a long sleeve Babushka Ballerina gown with a floor-length veil from Bella Tiara. 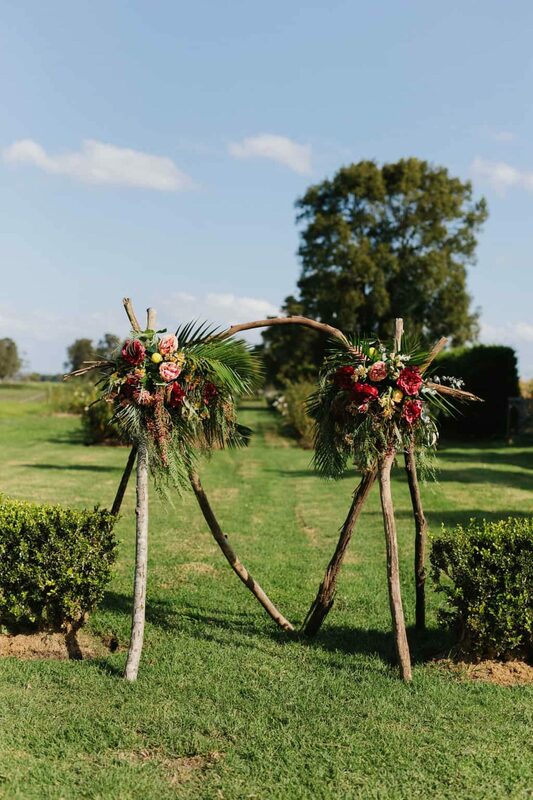 Evoking tropical vibes (paying tribute to their beach proposal), Mary Failie-Cuinghame used palm leaves, lush greenery and vibrant blooms to create the eye-catching arbour at the ceremony. 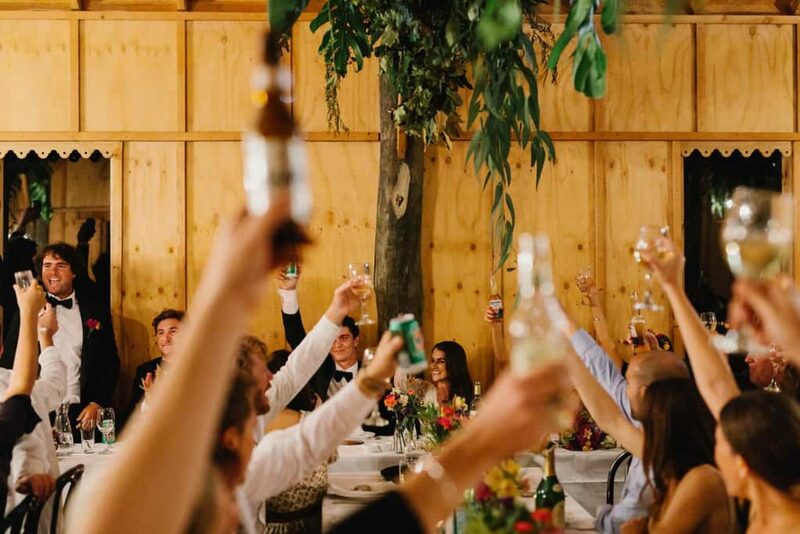 Getting the barn at Merribee wedding-ready was a real team effort. 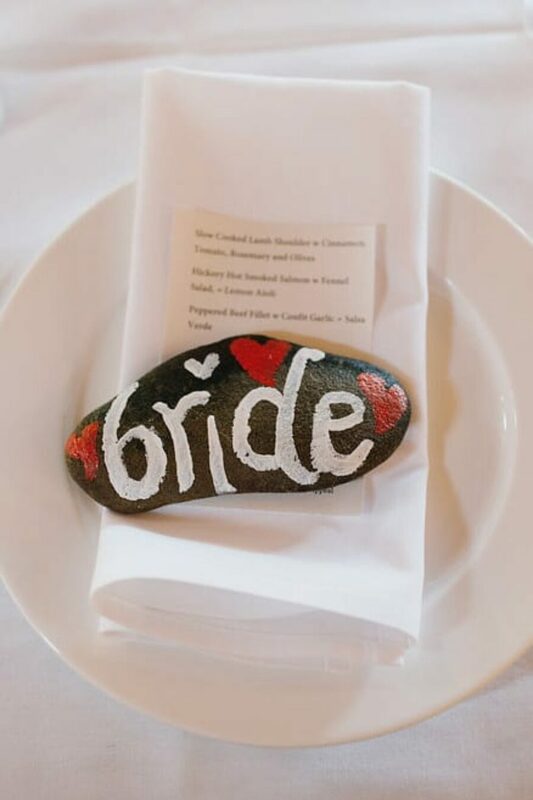 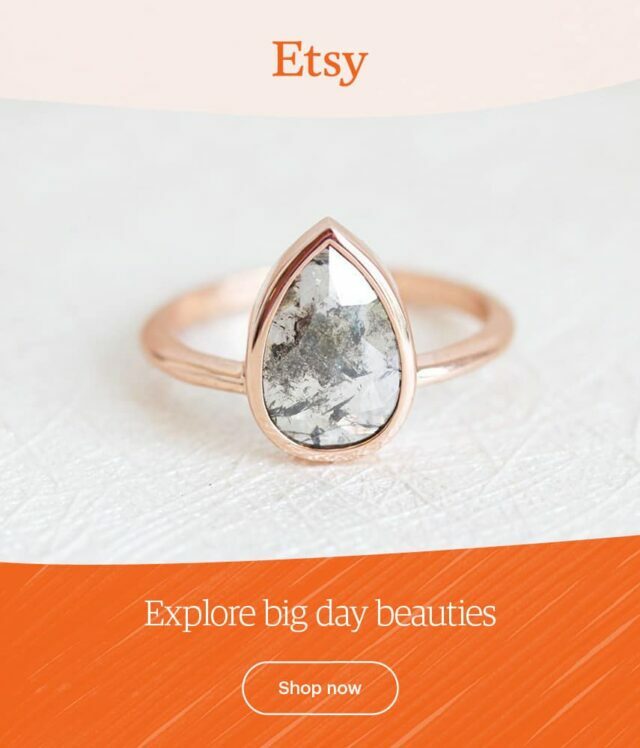 Kat tells us "My mum collected 167 rocks from our local creek and hand painted them for the name place settings. 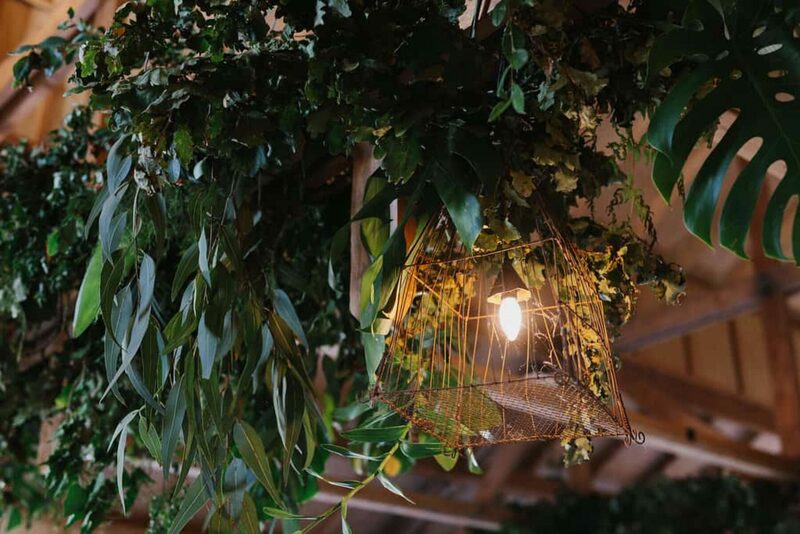 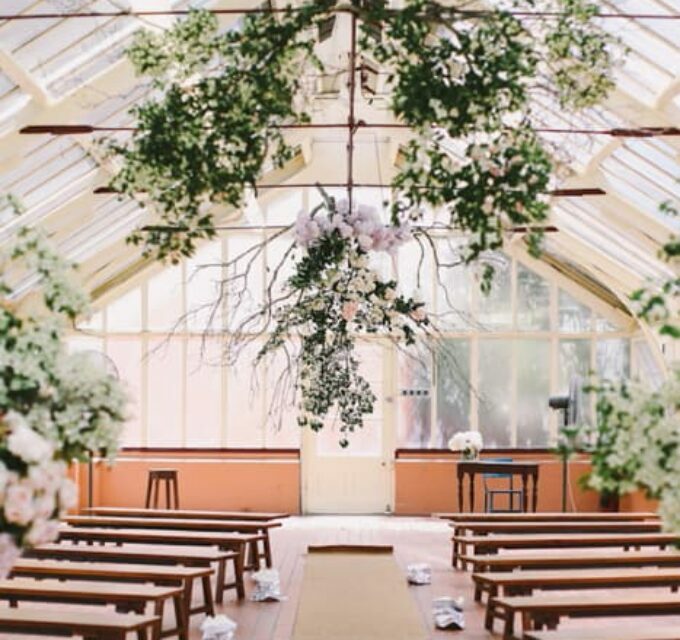 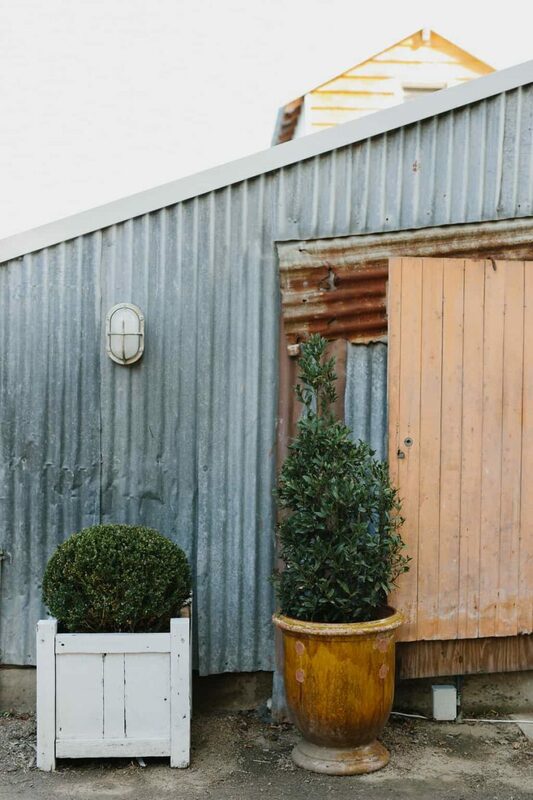 Jamie’s sister Minka hung and arranged the hanging greenery in the barn and also organised the grazing tables. 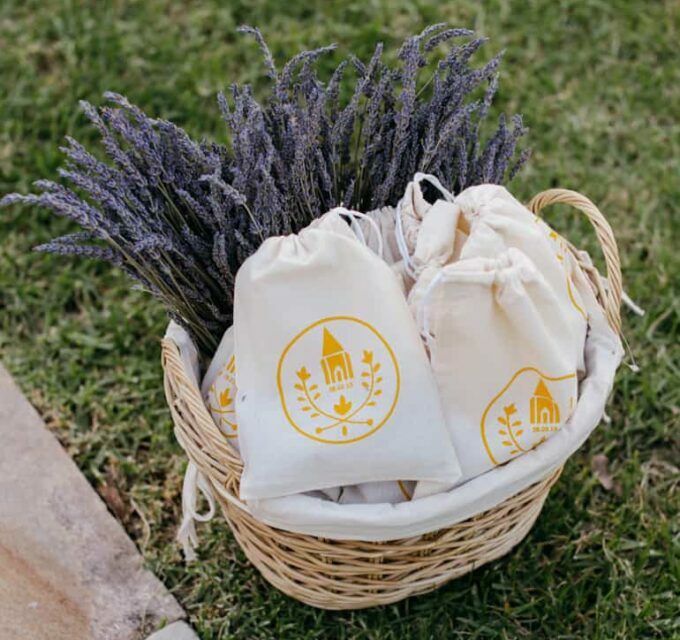 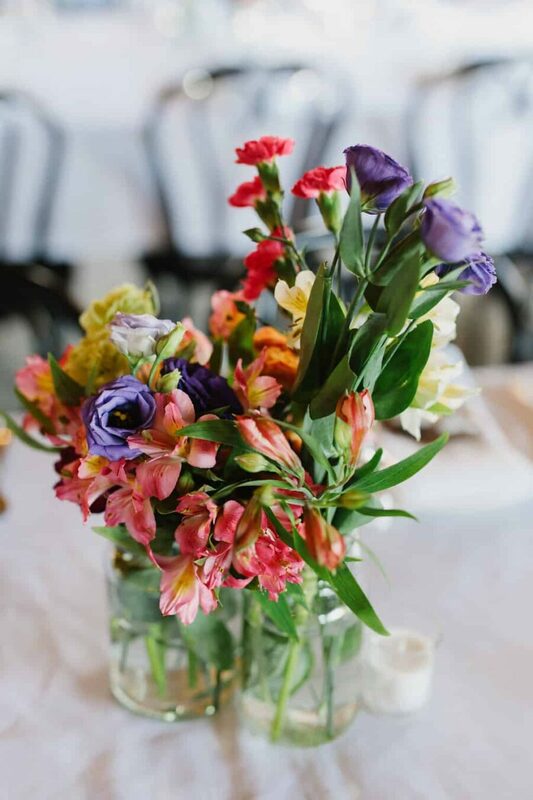 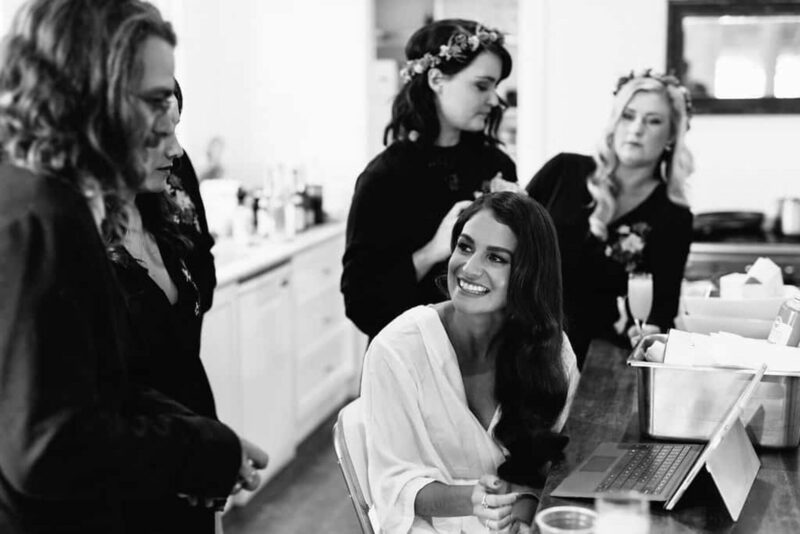 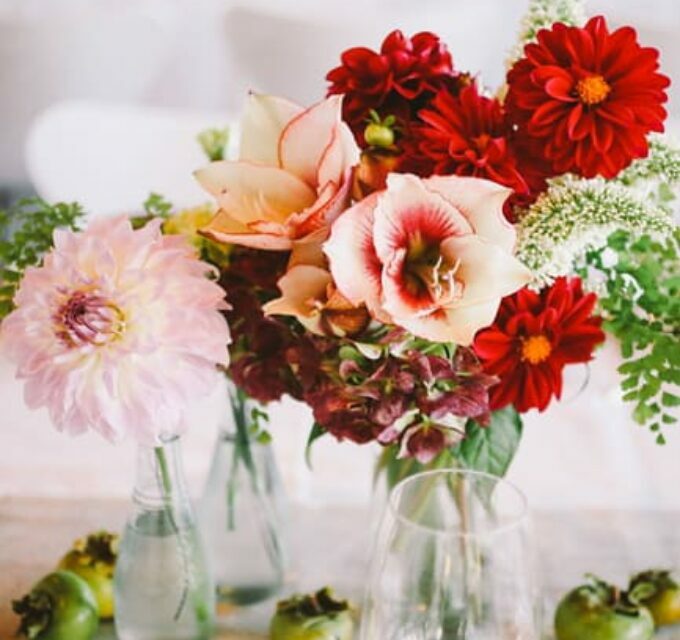 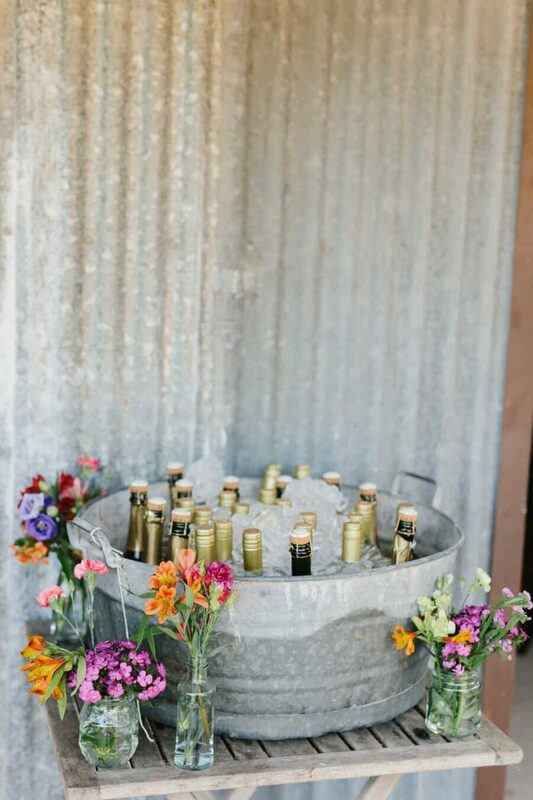 The bridesmaids organized all the floral arrangements on the tables." 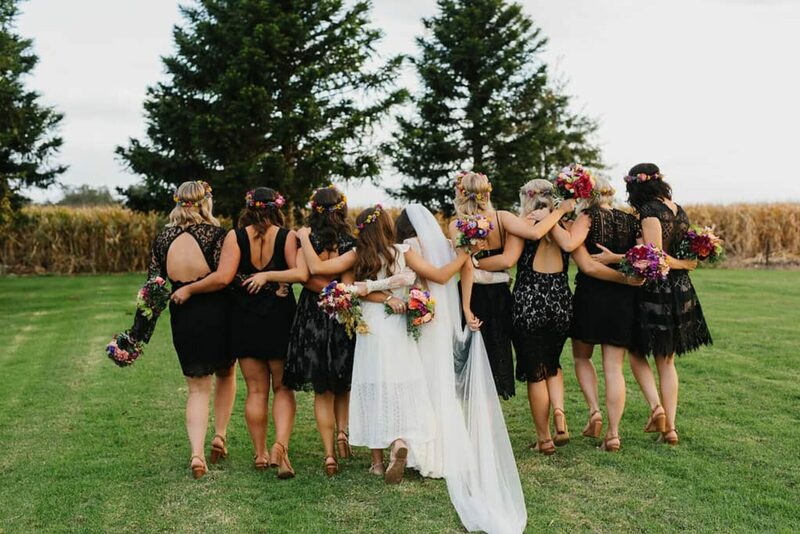 With a tribe this size it made sense for Kat's bridesmaids to choose different dresses to suit individual styles. 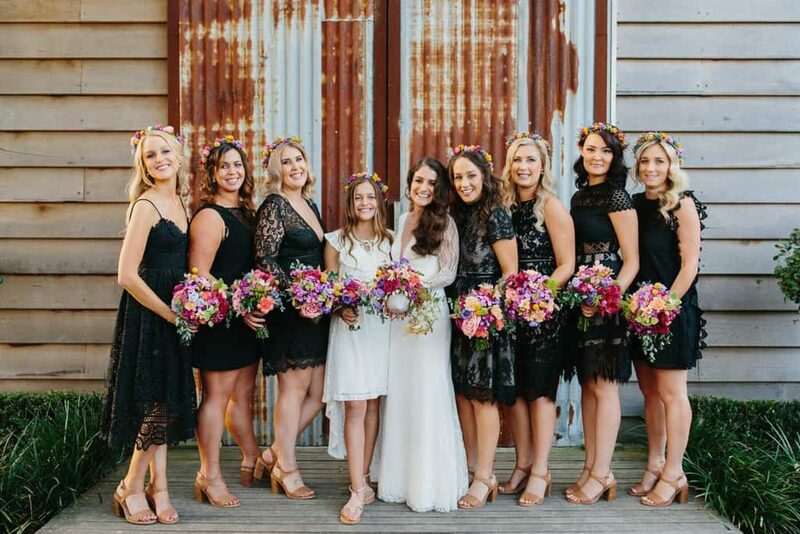 The girls chose black numbers from various stores and wore matching tan shoes by Spurr. 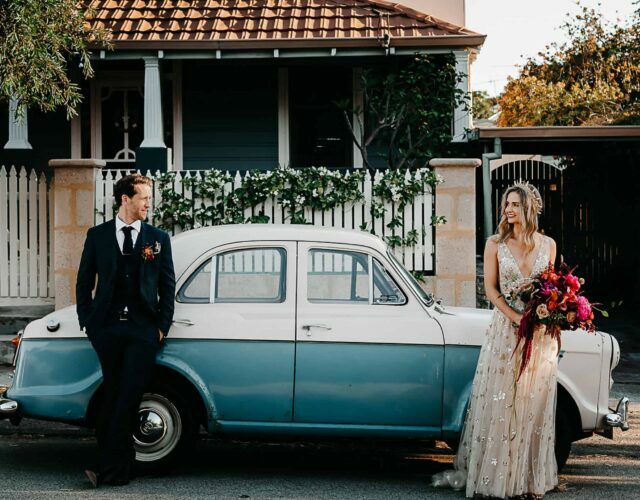 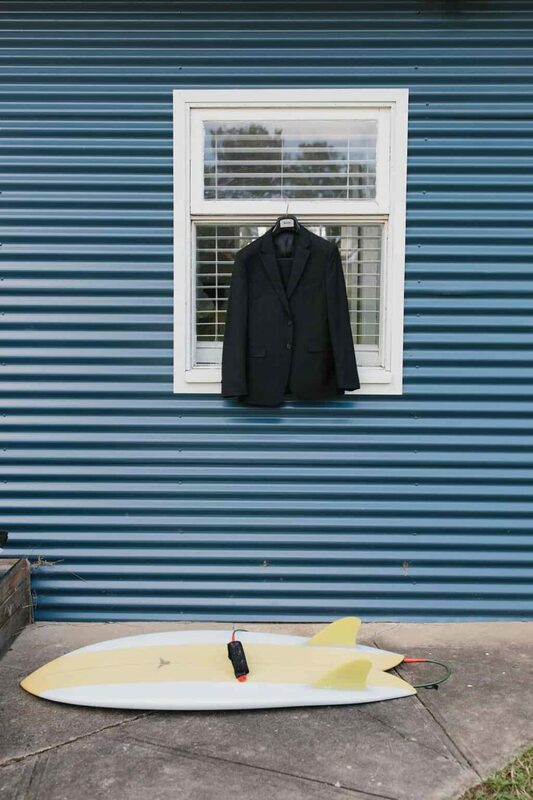 Always on the lookout for quirky locations, John Benavente's relaxed photography style was the perfect fit for this laid back pair. 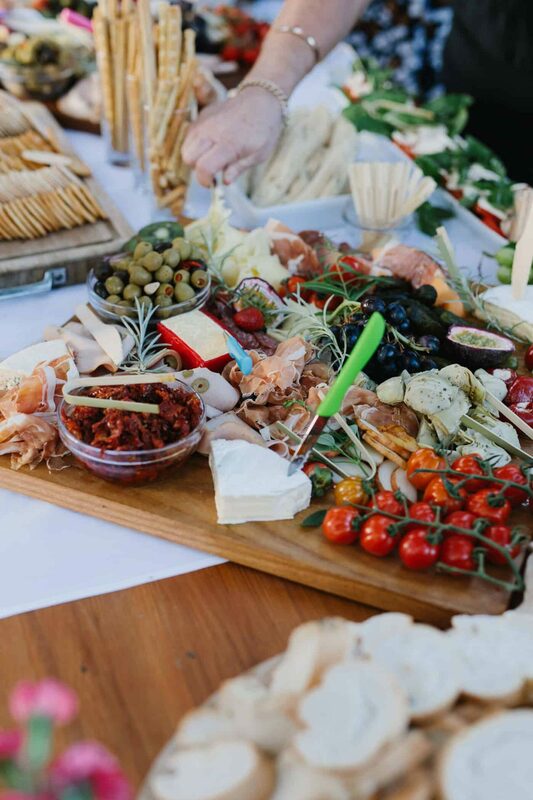 Caterers Rabbit & Co dished up delicious share platters and a two-tier buttercream cake for dessert.